Summer has officially started. 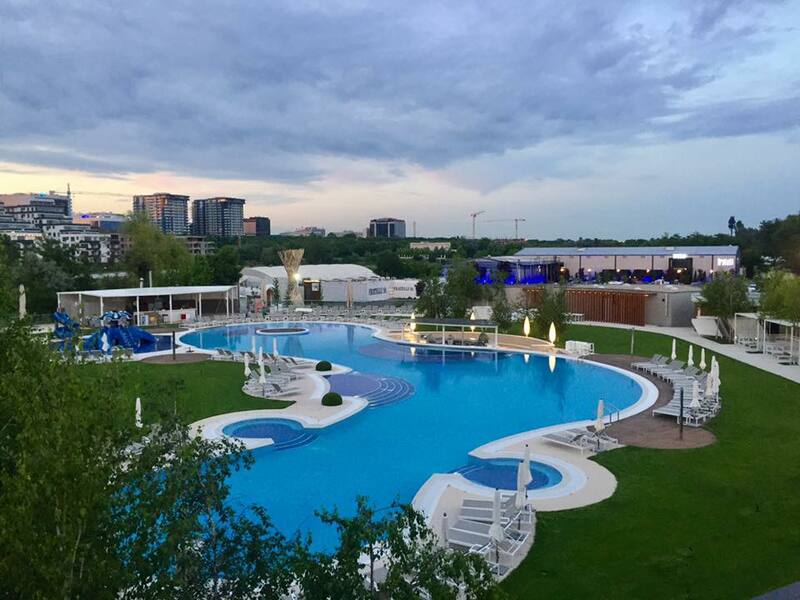 So with plenty of hot days and evenings ahead of us, we’ve listed the seven best swimming pools in Bucharest for you to try out this summer. While some of them belong to some of Bucharest’s best known hotels, others are part of public or private health clubs. Regardless of that, most of them come with a bar usually also serving food alongside drinks. With single entry tickets starting at RON 30 for adults during week days, and 60 during the week, here is our selection of the best swimming pools Bucharest has to offer. Floreasca Swimming Pool is not only a pool, but also comes with a charming terrace, a bar serving delicious cocktails and a kitchen that specializes in burgers. What’s more, the space, previously skating rink located on the edge of Floreasca Park, hosts live music performances by local musicians, from DJs to folk singers and jazz bands. 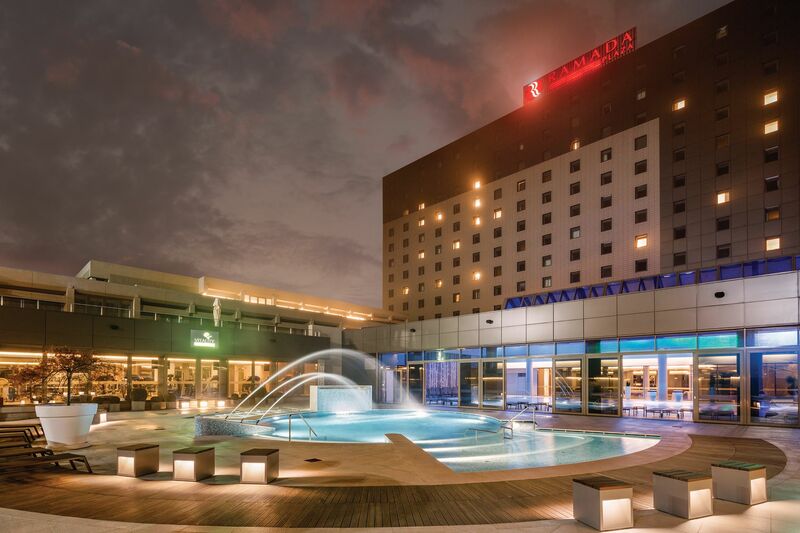 Ramada Plaza Hotel, located in the north of the capital, near exibition centre Romexpo, offers two simming pools, both open to outside visitors. 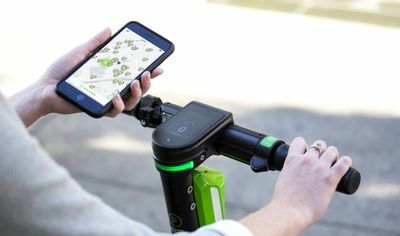 Our tip? Take a time out and visit the swimming pools during the week, at the end of a busy day, and also try the facilities of Vitality Wellness, the hotel’s health club. 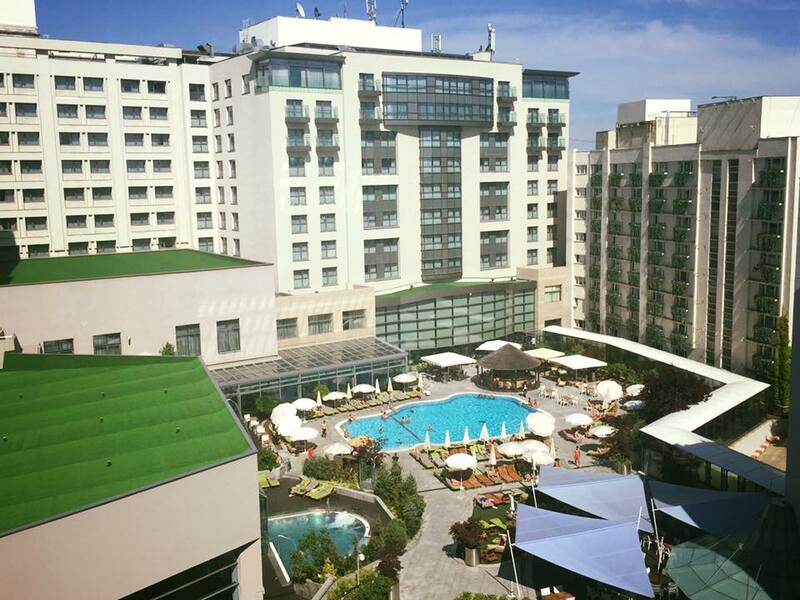 Located on Calea Victoriei, one of Bucharest’s busiest arteries, Radisson Blu outdoor swimming pool also features a pool bar and a patio. Our recommendation? Head to the pool on Sundays for a brunch featuring hearty food, fine wines and scrumptious desserts. 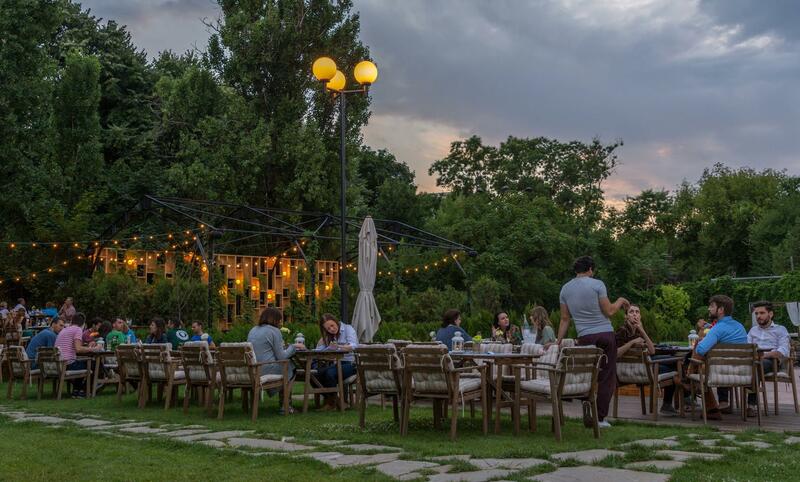 Also located in the up-and-coming neighbourhood of Floreasca, north of Bucharest, the Pescariu Sports&Spa complex offers a quiet retreat in an exclusive setting. The complex offers an indoor swimming pool open all year and three outdoor pools available only in summer. At 6×12 meters and an even depth of 0.90 meters, the outdoors kids’ pool is heated all summer long. For access to the swimming pools, a membership is required. 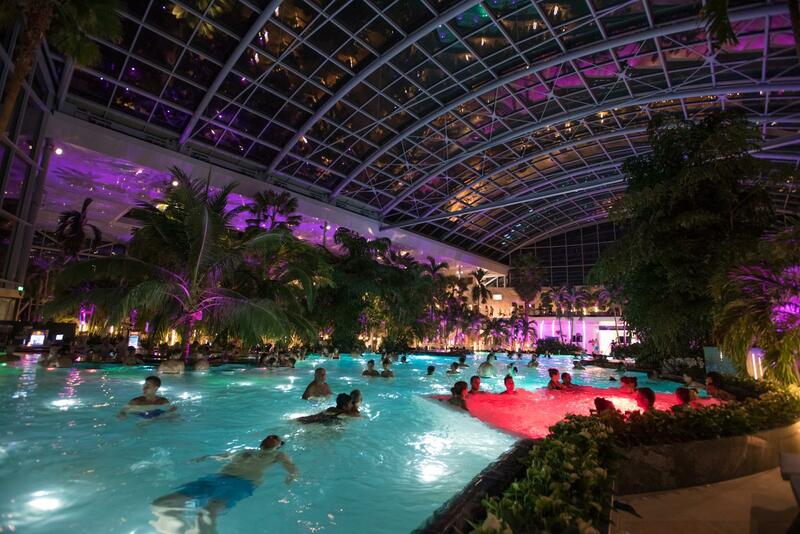 Europe’s largest welness complex, Therme Bucuresti, located 15 minutes away from Bucharest, offers starting this summer a 30,000 square meters urban beach. The beach will feature a 720 square meters tropical pool and 1,500 chaise longues. World Class Atlantis is the only open air swimming pool in the World Class chain. 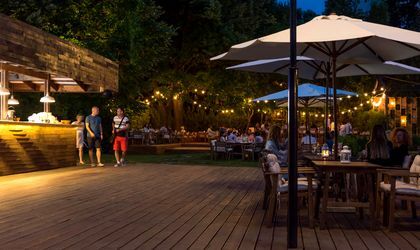 The perfect spot for the whole family, it is surrounded by grass meadows and provided with the services of a bar that serves a great variety of cocktails. Food is prepared nearby by a partner and delivered to the premises. Head to World Class Atlantis for the evenings when the space becomes a live concert venue or better, hold your own, the space is perfectly suited for one. The Dinamo Bucharest Sports Club offers an indoor olympic pool and an outdoor swimming pool with a very casual vibe bordered by chaise longues. In summer, it is also possible to have a bite and a beer at a terrace popular with neighbourhood residents. You can get access to the pools by purchasing both a membership or single entries.